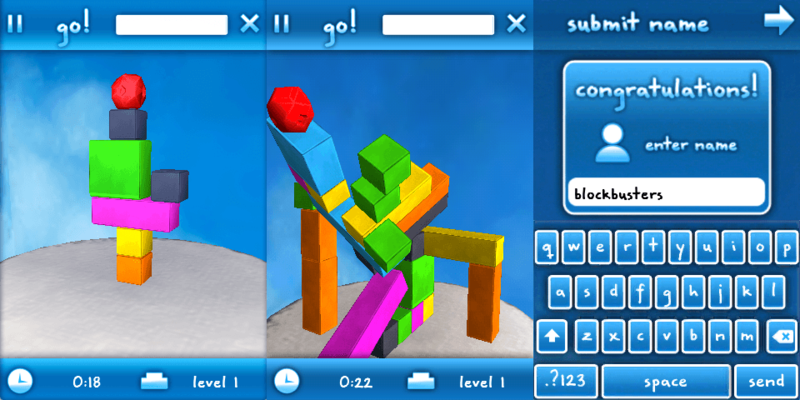 Blockbusters is a unique and addictive puzzle game utilizing full 3d graphics and physics simulation. Blockbusters will keep you busy for hours trying to beat your high score..Destroy all the colored blocks in the level with the tap of a finger, but don’t let the red gem fall onto the platform or off into space. Black blocks are indestructible. There are different solutions to the same puzzle, so don’t hesitate to be creative! This is going to have me busy.. and kids too when they borrow my iPhone!